After beating on revenue and earnings last quarter, can TWTR stock continue rallying in 2018? Tech stocks did well last year, and Twitter Inc (NYSE:TWTR) was no exception, as TWTR stock went up 47.2% in 2017. In 2017, Twitter streamed everything from Comic-Con to Major League Baseball games. President Donald Trump drove a lot of traffic to Twitter, often using the platform to test the waters of public opinion. Twitter added some new features last year. It increased the maximum number of characters per tweet from 140 to 280 for most languages (Chinese, Japanese and Korean were among the exceptions). And as James Brumley recently described, Twitter made it easier for users to post several threads in a row. Twitter faced scrutiny from the U.S. government over Russian government activities on the platform during the 2016 election. In response, Twitter decided to ban advertising from two channels linked to the Russian government, Russia Today and Sputnik. Harassment plagues social networks like Twitter, and sometimes scares away users. Twitter sought to reduce this, issuing new guidelines relating to hate and abuse. Twitter reported its third quarter results in October, beating on earnings and revenue. This caused TWTR stock to soar 18%. TWTR stock may have climbed 47% in 2017, but some observers think it could rise further. Hedgeye Risk Management recently named the stock a “best idea long” for 2018. Some disagree. InvestorPlace contributor Josh Enomoto sees Twitter stock as overvalued given its slow rate of user growth. Let’s look at Twitter’s strengths and weaknesses, and whether TWTR stock is a good pick for 2018. Growth in Daily Active Users: Platforms such as Twitter need regular traffic. The more often users visit Twitter, the better. Over the past few quarters, Twitter has grown daily active users at double-digit rates year-over-year, faster than its growth of monthly active users. Twitter can increase traffic either by attracting new people to the platform or encouraging those who already have accounts to browse more often. It is making progress with the latter. This could drive more advertisers to Twitter, boosting ad revenue. Data Licensing Revenue: Twitter derives most of its revenue from advertising, but it also generates revenue from data licensing. Businesses want to know what people are talking about on Twitter and how are they responding to the latest ad campaign. There were two options: enterprise, which costs thousands of dollars a year, and free. 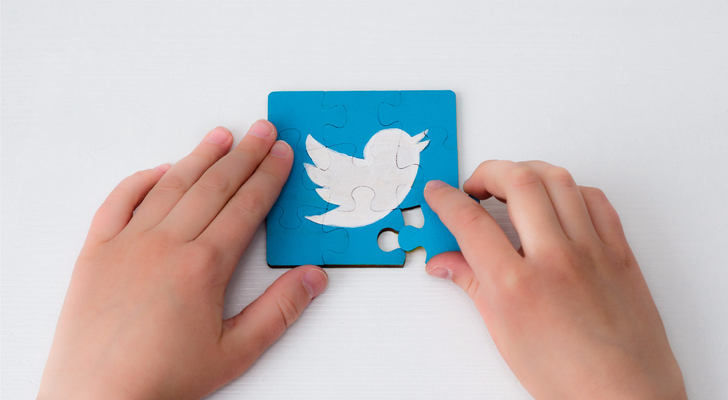 In November, Twitter announced a new product, Twitter premium APIs, starting at $149 a month. Twitter premium APIs are a middle path, offering more data to people who are willing to pay but don’t want to spend too much. Ad revenue is very seasonal, rising rapidly in the fourth quarter and then falling sharply in the first quarter. Data licensing revenue doesn’t fluctuate as much, and this gives Twitter a more stable revenue stream. A respected media outlet like Bloomberg starting such a venture is a good sign. Cable TV is losing subscribers, and this might spur other media networks to follow Bloomberg onto platforms like Twitter and Facebook, Inc. (NASDAQ:FB). Monthly Active User Growth: While Twitter is adding daily active users at a double-digit rate, growth in monthly active users is much slower. Twitter hasn’t grown monthly active users at a rate higher than 3% over the past 10 quarters. Twitter needs to attract new people to the platform. Never Profitable: Twitter remains unprofitable, losing $366 million in the past 12 months. The stock went public in 2013, and it hasn’t posted a profit since. Lack of profitability isn’t always bad. Fast-growing companies often lose money for the first few years as they expand. As they scale up, they gradually turn profitable. But as I just mentioned, Twitter isn’t adding new users at an encouraging rate. This isn’t exclusive to Twitter, as Snap Inc (NYSE:SNAP) is also growing slowly while losing money, which is why I recommended staying away from the stock in December. Stock Price Up: Even if the bull case for Twitter stock turns out to be accurate, with a 47.2% gain in 2017, some of the gains may already be baked in. I don’t think the TWTR stock price looks too attractive. Twitter doesn’t have the scale of Facebook and its apps (including Instagram and WhatsApp), and users don’t spend nearly as much time on it. The marketing agency Mediakix found that the average person spends 40 minutes a day on YouTube, 35 minutes on Facebook, 25 on Snapchat, and 15 on Instagram. How much time does the average person spend on Twitter? Just one minute. And Facebook recently won the right to stream the Golden Globe awards on Sunday. Last year, Twitter broadcast that event. Competing against a giant like Facebook isn’t easy, as Snap found out last year. That’s not all. Twitter may also have to compete against Alphabet Inc (NASDAQ:GOOGL, NASDAQ:GOOG) and Amazon.com, Inc. (NASDAQ:AMZN) over live sports. These companies have much deeper pockets than Twitter. RBC analyst Mark Mahaney also notes that competing with Facebook and Alphabet isn’t easy and wonders whether the TWTR stock rally can continue. Mahaney is a top analyst, with 5 stars and a 68% success rate on Tipranks.com. I’m inclined to agree with this view. I would look for a different social media stock. Article printed from InvestorPlace Media, https://investorplace.com/2018/01/should-you-buy-twitter-stock-3-pros-3-cons/.